A very dear friend of mine tends to look at the holidays and upcoming new year as an end. It's the time to say goodbye to the old and, for those unfortunate souls, another reminder that all those big dreams and plans haven't come to fruition. long before the loss grabs hold." But I've never really seen it this way because none of those big dreams and plans deserve to be mourned. They were gone a long time ago, assuming they ever got started. Looking back on them with any sense of despondency would be akin to a tree reflecting on its thinnest rings with regret. But nature doesn't see it this way. While some years are more fruitful than others, we can always be grateful that there was any ring at all. And then even more grateful that every year is a blank slate, with an equal potential for harsh or heathy seasons. You get to decide how to fill it. How to measure the potential of a new year while being grateful for the last. 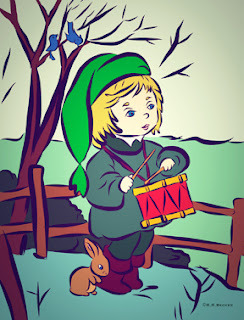 The holiday card I sent out this year included an illustration of a drummer boy. It was inspired by an old print that my grandmother had shellacked to a piece of wood. I always liked it so I recast it by drawing a minimal-line freehand version before porting it into my computer for color. The song, The Little Drummer Boy, has remarkable depth to it. It's about a boy who arrives at the manger to see the new born king much like the three wise men did. But unlike the wise men, the boy didn't have the foresight to bring a gift. So he plays his drum and it turns out to be greatest gift of all. Faith doesn't necessitate value in the story, even if it is likely tied to Job 34:9 — It profits a man nothing when he tries to please God. While the lesson is meant to remind us that nothing makes God happier than when we use the talents He has given us, it turns out that nothing makes us happier either. 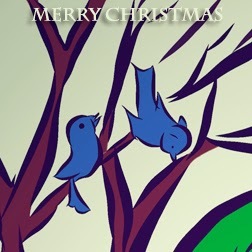 And so, as simple as it seems, that became part of my holiday greeting this year in just two words. Play on. Play on, with your talents ahead of everything else you do and next year will be your best. Merry Christmas. Happy holidays. Good night and good luck. A quick look back at the most viewed posts here before we wrap the year. 1. Five Things I Wish Every Advertiser, Marketer, And Pro Knew. Five lessons confined to a single post, ranging from the difference between a content strategy and marketing strategy to how it takes more than being clever to break through the clutter. My favorite is in taking the effort to be something other than a noun. 2. Five Monkey Wrenches For The Future Of Public Relations. Everyone knows that public relations is at a crossroads, but not everyone considers how they might overcome those challenges. Public relations owes itself the opportunity to thrive on its strategic merit. 3. Will Automations Steal The Soul From Social? Anyone who knows me, knows that this is one of my favorite discussion points in regard to social media. It never seems to get old because people continue to count the wrong measurements anyway. 4. Teaching People To Write Requires A Contradictory Approach. Several people have asked me to write more stories about writing. It's too early to say what next year will look like, but writing will be given a lift in priority. This one was fun because it debunks the need for too many rules for writing. 5. Changing Creative: Did Fans Dictate Days Of Our Lives. If you want to see the kind of impact social media has made on our society, take some time to read the comments. Almost 100 fans chimed in on how they felt about one of the few remaining soap operas. Marketing is seldom so exciting. 6. Big Data Will Be A Blind Spot For Marketers. Everyone keeps talking about big data, but the science of it is less important than the art. Measurement requires much more than numbers. Marketers need to invest more time in the murkier waters of behavioral science. 7. Put People Ahead Of Platforms If You Want To Succeed. There were several associates of mine who said my subhead would have made the better headline. Had I retitled the article, we would have called it: Five Areas Of Focus To Make You More People Centric. 8. Networks Drive Discussions. People Drive Networks. Long before writing about the algorithm changes taking place to Facebook right now, I was challenging my social media students to stop prioritizing social networks based on popularity because popularity is subject to change. The post includes my social media deck for 2013. 9. Bob Fass Beats Everyone In Social Media. Good Morning, 1963. If anyone accidentally influenced me this year, it would be Bob Fass. Without ever knowing it, he developed the formula for free flow social media long before the Internet made it possible and smart phones made it popular. 10. Killing Me Softly: Cancer. Perspective can be your adversary or ally. Cancer certainly ensured this was a thin ring year for me, but it would be impossible for me not to be grateful in the wake of it. Those were the most read posts this year, a fraction of a small collection written. Thank you for reading them, sharing them, and — most importantly — finding the time to respond to them. I look forward to many more great discussions ahead. My next post here will likely be Jan. 8, 2014. If you want to keep up weekly, subscribe here. You can also find more creative content here or here next year, along with eclectic reviews or segments about something called shadow management. Aside from those outlets, there will be a few more surprises in the new year. I hope so for you too. When Does Facebook Surrender Its Social Network Status? When most people hear the term 'social network' nowadays, they immediately think of the brands that populate the Internet — anything and everything from Facebook to LinkedIn to Twitter. Most of them don't know that the true terminology isn't confined to digital. Such structures exist offline too. In fact, the theoretical construct of a social network is simply based upon social entities voluntarily connecting and interacting or conducting an exchange. They are always self-organizing, and frequently create any number of complex patterns and shapes by their own volition. It's largely what makes them so interesting to study. Even before social networks became akin to being defined by online service, different groups of people always came together in unique ways. Except this self-organizing theory might not be the case anymore, especially on places like Facebook. Since its inception, this network has slowly evolved away from the self-organizing arena. Whereas once the network asked its members to self-organize, the network now defines social entities differently. And in doing so, the ability to interact is largely dictated by compensation or algorithm. Why some marketers feel like they are losing out on Facebook. Last week, several stories broke around the headline Facebook Admits Organic Reach Is Falling Short, which talked about a new sales deck that Facebook sent to its marketing partners. The emphasis on the article was the bluntness of the company. It said marketers have to pay up. For many in the advertising and communication industry, the article was confirmation that convincing people to like your Facebook page was not enough. Fewer and fewer people will see the content you share unless they interact and engage with it by sharing or commenting on the thread. Simply put, a Facebook post might only reach (or be seen) by 15-35 of the 3,500 people who have liked the page. This is an amazingly paltry number in the eyes of most marketers, especially those who have already invested time and marketing dollars to attract those people in the first place. Worse, many marketers are ready to toss their hands in the air because even if they do up the ante for greater reach among the Facebook followers they have already attracted, they will always be bought out by larger companies with bigger budgets. In short, they are going to lose. Game over. Not everyone sees it this way. 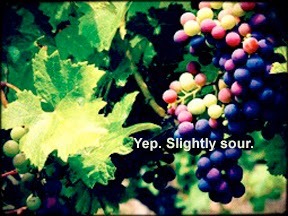 Some call it sour grapes. The opposite tact was taken on Kairay Media, stressing that maybe marketers were confused. In his generalized rebut, Brent Csutoras offered up that Facebook is not reducing organic content views (hat tip Amy Vernon). It seemed more likely that supply and demand is the culprit. Csutoras is right in that the trend cited by Facebook didn't necessarily translate to the social network claiming to be the cause of the trend. People can only consume so much content. And even if they volunteer to consume more of it, Facebook is attempting to manage it with a prioritization algorithm based on its engagement values. When it doesn't, marketers get flagged as spam more often or abandon the service. So, in essence, while everything is relative, the algorithm aims for some unknown threshold so content doesn't scroll faster than it can be seen (and even then there is no guarantee). And with this perspective in mind, it's easy enough to think of Facebook looking out for its membership. But is Facebook really looking out for its members? Or is Facebook, like some ad-revenue based program channels, looking out for its bottom line because network content consumption works a bit like a Ponzi scheme? Since people can only consume so much, the rates will only climb higher. Facebook is fine with that. It will be crossing the $2 billion per quarter mark soon enough. It currently has the number one mobile app in the United States. It would like to say the world. Is Facebook a social network, marketing platform, or something else? This is very much what Julie Pippert warned PRSA Houston about two months before it happened. Her message was pretty clear. If you think you have a game plan for SEO and Edgerank, you don't. Not everyone believed her, but she's right. 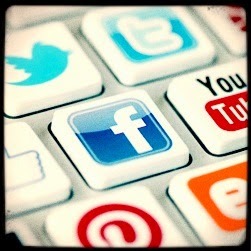 A strategic approach to social media is adaptability over game plan. The winners are almost always those who cultivate a network as it becomes mainstream and seldom those who read the best practices about how they did it. By the time they do it, it changes. But this isn't the extent of the change. When networks remove self-organization they cease to be social. And when you consider the most recent privacy issues that Danny Brown recently addressed, the pattern becomes clear. The lion's share of reinvestment by the network is to make it a better revenue-generating marketing platform and not necessarily a better social network. It makes sense that it would. Facebook used to measure success by membership and usage. But nowadays, it is more likely to measure success by quarterly earnings and stock valuations. And the best way for the company to do that is by creating an environment where companies are willing to create content for the network, advertise this content outside of the network in order to populate it, and then pay to be seen by the same people they populated it with. In return, the network will continue to chip away at privacy sensitivity, which will give marketers more insight into consumer behavior (which, ironically, companies cannot decipher anyway). And there is nothing wrong with any of it per se, but only because most people volunteer to do it. For now. Online, people are social nomads and where they gravitate today will not necessarily be where they gravitate tomorrow. Facebook doesn't want to believe it, but they know it. While I wouldn't go so far as to say teens are abandoning Facebook, they are using the marketing-saturated snooper less. Simply put, teens want to self-organize their social networks rather than have a company do it for them, especially one that no longer makes self-organizing a priority and never placed any value on privacy. If that's true, then social networks aren't turning into marketing platforms as much as television series. And those, as everyone knows, have a finite shelf life. And if that's true, it would be a shame because I personally like Facebook, even when it does things that I am not fond of as a member or a marketer. How about you? What do you think? It would have cost somewhere around $3 million for a retail outlet to buy 15 minutes of airtime around CBS's "60 Minutes" on the Sunday night before Cyber Monday. 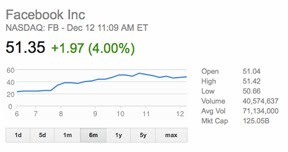 But Amazon CEO Jeff Bezos secured his spot for free. He appeared to talk about the future Amazon drone delivery program. "I know this looks like science fiction — it's not," Bezos said, words that have been echoed a million times over. The maelstrom of media attention that has followed can't be quantified. Every major and mid-level media outlet has covered the "60 Minutes" segment, many finding their own angles. A few story spins include validity vs. publicity, regulatory updates, retail delivery disruption, practical applications, test site applications, civilian safety concerns, law enforcement issues, consumer laziness, and countless others. It also makes the case for the power of brand equity. Other companies have announced drone delivery programs, but none of them had the brand equity of Amazon. Bezos could have said Amazon was testing miniature sleighs powered by eight tiny reindeer and piloted by chubby guys in warm winter suits and it would have been new. But a majority of pitchmen would have laughed at or even blacklisted him. When mediocre pitches come from big companies, they can still move something from the future potential pile to the future possible pile. Bezos went further. 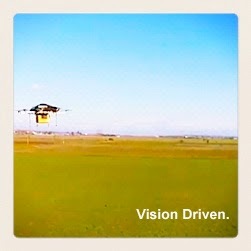 Why the Amazon Drone Delivery System story wins attention. The reason the Amazon Drone Delivery System is such a success story is that it found the sweet spot between publicity and public relations. The reality is that Amazon, like many companies, is testing drone delivery programs that will one day be mainstream. Never mind that the application will likely take longer than Bezos suggested, with some estimates putting drones off until 2020. Even then, such a program will likely be confined to rural or select suburban areas as opposed to high density urban centers. But then again, you never really know. Technology can sometimes be fast tracked if people want it bad enough. And based on the chatter alone, people really want to see delivery drones and orders that arrive in less than 30 minutes. People want them, but not only for their ingrained predisposition for instant gratification. Part of the Amazon drone delivery system allure is about the increasing need for Americans to regain their footing on the future. After the constant bombardment of stories best summed up as "failing empire syndrome," consumers are ready for drone deliveries because it represents an ideal. Launching a drone delivery program would prove American business, technology and affluence are still part of the equation. It's just far out enough to feel like science fiction but just close enough to feel like science fact. And along with that, it touches our psyche to say anything is still possible. What the Amazon Drone Delivery Program accomplished. In the weeks ahead, some public relations professionals and entrepreneurs will likely dismiss the story as a publicity stunt. But the Amazon drone delivery program isn't just a publicity stunt. The company is working toward shorter delivery times; which ones get off the ground or not won't matter. The notion that Amazon succeeded in usurping attention from any other major retailer on Cyber Monday is icing on the cake. The real accomplishment is that Amazon has once again affirmed itself at the forefront of technology — playing at the same scale as Apple, Google, Nike, etc. — while nurturing publics that want Amazon and Bezos to succeed in innovating a better world. They want companies with a penchant for big ideas. They want more people like Steve Jobs. They don't even care if companies succeed or fail on big ideas like PrimeAir (which is what the drone program is called). They want what Seth Godin might call a Purple Cow or Malcom Gladwell might call another David. They want these things because we've seen too much dismantling in a decade. Bezos is a smart CEO because he tapped into this need and fulfilled it, even if it might be premature or a little bit fanciful. That isn't a trite publicity stunt like sitting naked on a wrecking ball. It's a strategic move to build brand equity as an innovative retailer, one that people will support. Think about that before your company pitches a teleportation segment. PrimeAir isn't a publicity stunt, even if the story generated (and is still generating) an epic amount of publicity. PrimeAir is a well-timed real story that reinforces the strategic position of a brand that people genuinely like and how it is really doing something that could change our perception of what's possible. When was the last time your company did that? If it has been a long time, then perhaps it would be worthwhile to explore the possibilities. 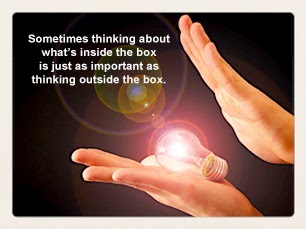 Instead of worrying about the packaging of a company (like marketing and public relations tend to do), maybe it's time to think about what's inside the box.